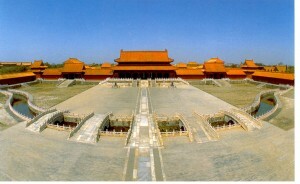 China is truly a remarkable place and nowhere is more evident of this fact than the capital city of Beijing. While many would argue Hong Kong is more impressive, with its significant western influences up until only a few decades ago, Hong Kong is indeed a great city but is devoid of much of what it is to exist in modern China – that is, a place steeped in tradition and bursting economically by doing things their own way. It is in Beijing that most tourists will have their ‘China’ experience, seeing the famous sites, eating the food and being a part of one of the busiest places in the world. Tourists are most drawn to the Great Wall of China, which has a section that runs by the mighty metropolis, and the Forbidden City but major landmarks aside, what makes Beijing stand out on the world stage are its people and staying here will allow you to see how they go about their daily lives. Whether you stay in Beijing for a few days or a few months, Beijing vacation apartments will give you that chance to feel the pulse of the city and the people as they make the city the leader that it is. If you plan on setting up shop in Beijing and are wondering how to get around, either within the city or to other places within China, you have several options open to you. Take a look below at these means of transportation and consider which will best serve your needs during your vacation. With so many people calling Beijing home and their holiday spot, it’s not surprising to find each method a wee bit crowded! Word to the wise – unless you are in possession of a Chinese driver’s license and are experienced in driving in heavy urban centres, travelling by car is not the best way to see the city. 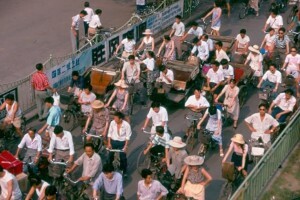 Even taking cabs in Beijing is not recommended as it can be quite expensive and traffic can be a nightmare. Travelling short distances are best done on bicycle, which is quite affordable and able to access most areas of the city. While Beijing’s pollution is the thing of legend, be sure to utilize this mode on days when the air quality isn’t at it’s worst and unlike in other countries, be prepared for crowds in the biking areas! Whether it’s local or high speed, trains/subways are an essential part of travel within and out of Beijing. The stations can be a bit confusing and overwhelming for first time travellers but there is a surprising amount of English available to help those coming from all over the world. If you’re looking to take a break from the city, consider travelling on one of the high-speed trains that run to various points over mainland China – particularly the newly opened line between Beijing and Guangzhou in the south, which is over 2 000 km away!